Dráscula is an adventure game by the Spanish developer Alcachofa Soft. In the game, a British real estate agent named John Hacker has to rescue a blonde woman who has been kidnapped by Count Dráscula. The game is available for free from the ScummVM downloads page. 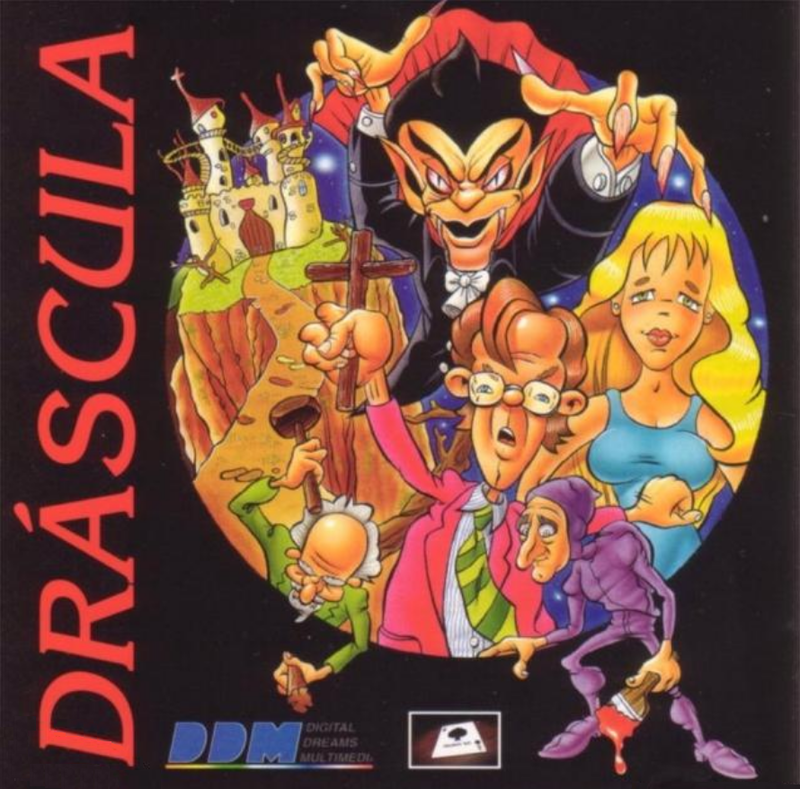 Dráscula is now supported by ScummVM, a program designed to let 2D adventure games run on multiple platforms. With ScummVM, Dráscula now runs on modern versions of windows, as well as Linux, Mac OS X, and many consoles such as Dreamcast, Wii, PlayStation 2, and PlayStation Portable. For a complete list of platforms supported by ScummVM, see here.